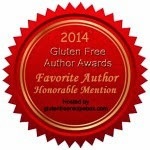 In 2012 I attended my first Gluten-Free/Allergen-Free Expo. Even though it was a plane ride to Chicago, I was tired of jealously watching twitter and facebook as others talked about their favorite finds. I was very happy to have attended last year and am really looking forward to this year’s event in Chicago on April 20th and 21st. 1. 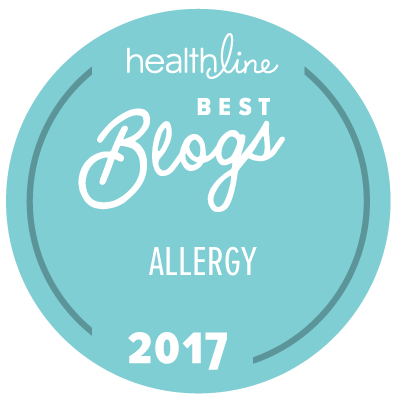 There are terrific products for food allergy families. 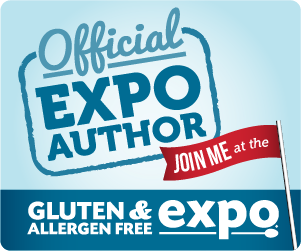 Yes, it started as a gluten-free expo, but we all know that the need for gluten-free and allergen-free products is tightly linked (and tends to run in families). Last year there were many vendors that – in addition to providing gluten-free products – were serving up products that eliminated the top food allergens (or at least some of the top allergens). Tons of vegan products as well! 3. New, new, new… While I expect to be able to find some of my favorite products on display, I am looking forward to finding great new products. Click here to see some of my favorite new finds from last year’s show. What am I looking for this year? Gluten-free and soy-free skincare and haircare products (it’s not just about food), anything chocolate, and anything I can bake with! 4. Inspiration. Just walking around and checking out the displays, and trying new products, I am bound to come up with ideas of new things I can create in my kitchen. The best part really starts once you get home and get out the mixer. 5. I’ll be at the Expo in Chicago signing books. I’ll be in the author area signing books, meeting you, and answering your questions. (Have I mentioned that I love to answer how-to questions?) 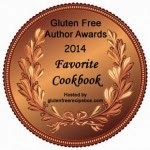 And it’s not just me, there will be lots of gluten-free and food-allergy book authors there. If you’re going, please stop by and say hi! Find out more about the GFAF Expo in Chicago here. And I’m thrilled that the Expo is coming to the East Coast this year. If you can’t make Chicago, then perhaps I’ll see you in New Jersey in the fall.